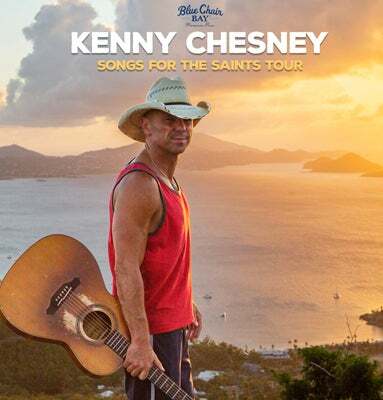 The Greensboro Coliseum will host a capacity crowd for country music superstar Kenny Chesney in concert on Friday, Apr. 12 at 7 p.m. The Greensboro Coliseum Complex, Greensboro Department of Transportation and Greensboro Police Department (GPD) advise all patrons to plan to arrive by 5:30 p.m. and carpooling is strongly encouraged. GPD will be managing major intersections in the vicinity of the Coliseum and variable messaging systems will be deployed to advise motorists of parking and traffic information. Patrons are also encouraged to utilize the UNCG Park & Ride Lot (located at the northeast corner of Gate City Blvd. and Coliseum Blvd.) for convenient access to the north end of the Coliseum and post-concert exiting. To expedite the entry process, patrons should download their Ticketmaster verified tickets with the Ticketmaster app before arriving at the Coliseum. Coliseum parking lots will open at 3:30 p.m. Doors to the Coliseum are scheduled to open at 5:30 p.m.